In the world of communication technology, two of the events that hold special significance are the invention of ARPANET, a computer network allowing computers to exchange data even when being geographically separate, and the rise of the Internet of Things (IoT). The latter, however, was an evolving process instead of a single event. The earliest implementations of the IoT concept occurred when a couple of Carnegie Mellon University students found a way to monitor the number of cans remaining in a vending machine by allowing devices to communicate with the external world. They did this by adding a photosensor to the device that would count every time a can left the vending machine, and thus, the number of remaining cans was calculated. These days IoT devices are capable of monitoring your heart rate, and even controlling it if required in the case of an adverse event. Moreover, some IoT devices can now serve as a source of evidence during trials in court, as seen in late 2015, when the FitBit data of a woman was used in a murder trial. Other incidents include usage of pacemaker data and Amazon Echo recordings in various court trials. 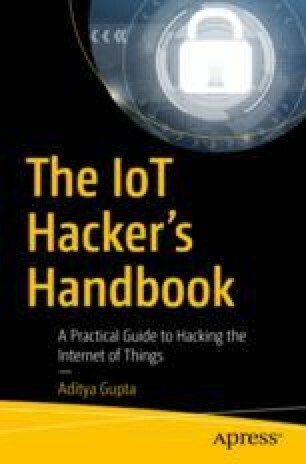 The journey of IoT devices from a university dorm room to being present inside human beings is fascinating, to say the least.